 At NEWSONG our kids (infant through 5th grade) experience safe, age-appropriate environments where they learn about Jesus in a creative and relevant way. We would love to see you and your family visit KidSong. First, find the area marked for your children's age group. There we will meet your family, check your child into our system, and then one of our volunteers will introduce your child to the other children in their class to help them quickly engage with others. Before Service: You can check-in your child at their age-specific class. After Service: After the service is complete, you will return to your child’s room and show your number in order for your child to be released back to you. During Service: In the event that we need to contact you during the service, we will either text, call or send a volunteer to come get you. Nursery is offered during both worship experiences for kids ages infant to two years. The nursery is located upstairs at the end of the hall to your right. There is a detailed check-in process for your child and our volunteers are safe sanctuary approved as we have made the safety of your child one our top priorities. KidSong Kinder is offered during both worship experiences for children ages three years to Kindergarten. This class is located upstairs at the end of the hallway to your left. They will experience worship through song, crafts, and a lesson that is specifically designed for their age group. KidSong Church is offered during both worship services for children grades 1st - 3rd. They can be both dropped off and picked up in the youth room downstairs before and after you enter worship. This is more of a children's church experience with worship through music and a Bible lesson that is catered to their age group. KidSong Connect is offered during both worship services for children grades 4th & 5th. They can be dropped off in the youth room downstairs before you enter worship and picked up after worship in the room at the top of the stairs. They will experience worship through music and have a Bible study that will encourage and provide space for them to make connections to scripture on their level. If you have further questions concerning our KidSong ministry, please feel free to contact any of our KidSong leadership as well as any members of staff.